Great … it’s time for another run to the grocery store. You forgot to pick up key ingredients for your recipes last time, and now you have to start stocking up for the upcoming week as well. But before you do, you need to clear those unused eggs and that forgotten container of milk out of the fridge. Well now there’s a solution. Organic food delivery services are springing up left and right. Say goodbye to grocery aisles, crowded lots, and limited, unhealthy choices. Now you can get the highest quality organic food delivered straight to your door in just the proportions you need to prepare delicious home-cooked recipes! Organic food delivery services allow you to sign up for a plan where meals are delivered to your home. All ingredients arrive fresh. Different companies offer different types of meals and plans. You can for example purchase completely pre-prepared dishes, or you can have meal ingredients shipped to you with recipes. Some companies even specialize in catering to specific dietary needs. Planet Organics want to give you the skinny on some of the most popular healthy meal prep companies out there—but first, let’s talk a bit more about why you should consider ditching your grocery store runs and switching to organic food delivery. Save time and money on groceries. If you had all the time in the world, keeping up with grocery shopping and meal preparation might be easy—but most of us have incredibly busy lives. You probably work eight hours a day, and you might commute for an hour or two on top of that. You bring work home from the office too, and finding the time to shop, cook and eat can itself be a chore. Think how much time and money you waste each month just on poorly planned grocery runs. You forget to buy food items you need, and you end up purchasing fare you never eat. Not only is it wasteful for you, but it is also wasteful for the planet. With meal delivery, you no longer will spend money on food you don’t need. You also won’t have to waste hours each week running to the store and back. You can reclaim that time and use it to work or relax. You can try new recipes the easy way. Tired of eating the same old thing every week, but don’t have the time or the energy to search for new recipes to try? With meal delivery services, you can try out new recipes every week. Since everything you need is delivered right to you, you do not need to worry about proportion sizes, ingredients, or logistics. You just follow the directions and enjoy! You can order ingredients you may not find at your local store. Don’t you hate when you really want to try a certain recipe, but when you look for the ingredients at the grocery store, you find that they are considered “exotic,” and as a result are not stocked? An organic food delivery service allows you to try out ethnic recipes from all around the world without worrying about missing these essential ingredients. They will show up at your door no matter where you are located. Get away from factory farming. “Organic” is one of the key words here. Meal delivery services like these are about more than just convenience—they are also about improving your lifestyle and overall health. If you are a health food aficionado, you know how hard it can be to hunt down pure foods which are not contaminated by additives, sugars, allergens, hormones, pesticides, and other unwanted ingredients. Many organic food companies work with smaller farms that grow and raise organic produce and livestock and stay away from factory farming. That means that the foods you are eating are GMO-free and safe and healthy to eat. This is also a benefit from a moral perspective. Factory farms are notoriously self-serving. They pollute the environment and they are often cruel to their livestock. When you order food from a delivery company which does not use these types of suppliers, you are doing your part to protect animal rights and the environment. Need to stick to a specific diet? Organic meal delivery services have you covered. Another awesome thing about organic food delivery is that you can order from companies which cater to your exact dietary needs. You can for example try vegan food delivery or paleo food delivery. Gluten-free food delivery services also are out there, along with low carb food delivery companies. Get started. One of the hardest things about dieting is finding the motivation to get started. You may feel overwhelmed by the new shopping and meal prep requirements. But diet food delivery services do all that hard work for you so you can get started without effort. Eliminate guesswork. Sometimes it is hard to know the rules of a new diet and which foods are and are not okay and in what proportions. A meal delivery service removes these questions, so you know you are following your diet properly. Save money. You may be charged an arm and a leg for certain foods in your local grocery store, i.e. gluten-free items. These same items may actually be more affordable via meal delivery. Learn to cook. If you always wanted to learn to cook but have never been able to get motivated, it is sure a lot easier when you have everything you need delivered to you weekly! Stick with your diet. As hard as it is to start something, sticking with it is even harder. When you have to shop around a rigid diet, that can take a lot of discipline, which can be very draining. Since food delivery companies alleviate that hard work, they make it a lot less taxing to follow a diet, which makes it more likely you will succeed over the long run. Organic and ethical. Make sure that the service you are thinking about using really does specialize in organic food which is ethically produced. Find out what suppliers they use and what practices they follow. Supports small or local businesses. This is optional, but if this is something which is important to you, you should look for a service which stays away from big agribusinesses. Features foods you enjoy. Some services may be a better fit for your taste buds than others. Fits your diet. If you have specific dietary needs like paleo, look for a service which will send meals to your door which fit your requirements. Plans and portion sizes fit your needs. Different services have different options available. Make sure that the plan will work for you and your household, or you could end up with too much or too little food. Easy to prepare. Some services require minimal prep work when the food arrives, while others require intensive preparation. Choose something you are comfortable with. Reliable delivery. Pick a service which delivers food reliably and on time, or you could end up without anything to eat when you need it. The right price. Cost is obviously an important factor as well; you will need to choose a service that fits your budget. Great customer service. In case you do have any questions or need assistance, you should go with a service that prioritizes customer care. Now that you know what to look for in an organic food delivery service, let’s take a look at 5 of the best healthy meal delivery services. For those who are in search of a company which is ecologically friendly and which puts a strong emphasis on non-GMO production, Thrive Market is an excellent choice. This food delivery service uses recyclable packing materials and sells organic cuisine, including vegan, raw, gluten-free, and paleo menu items. Note that this company does not specialize in selling pre-prepared meals or ingredients for specific meals; instead, it is more like a grocery store. Like a Costco membership, a low annual fee gets you access to savings year-round. Best For: Anyone who has a special diet or who wants to put the health of the planet first while shopping for delicious, nutritious food. Save money (as much as 50%) shopping for popular organic and non-GMO brand name items. To date, Thrive Market has saved members more than $113,000,000. 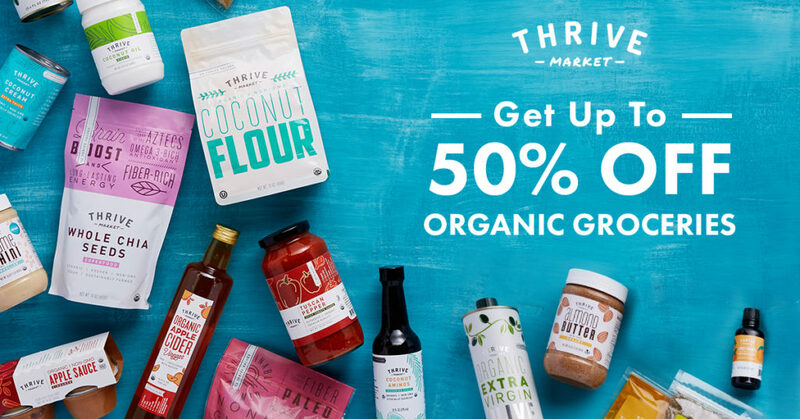 Get 25% off your first order from Thrive Market. You also can start out with a 30-day free membership trial. On Thrive, you pay just $59.95 for an entire year of membership. Since you get a free trial, you can see exactly how much money you could potentially save before you commit. Thrive Market ships out 85% of orders within two days or less. You can shop in a variety of categories: Food, Snacks, Thrive Market Brand, Pet, Home, Babies & Kids, Health, and Beauty, Bath & Body. That’s right—Thrive sells more than just cuisine! Food options are available for those on three specialized diets: gluten-free, vegan, and paleo. The company allows you to donate a portion of the money you save to a family in need when you check out. You cannot purchase pre-prepared meals through this company, nor does Thrive Market sell meal kits (yet). For orders under $49, you do have to pay for shipping. For all other orders however, shipping is free. Verdict: If you have special dietary needs but do not need help preparing your meals, Thrive Market is a great way to cut back on your costs while broadening your access to raw, paleo, gluten-free and vegan-friendly ingredients. Thrive Market is eco-friendly and makes it easy to give back to the community by donating to families in need. We use them every week in our house and cannot be happier with the quality. Hello Fresh promotes itself as “Cooking As Easy As Eating.” As that tagline suggests, this service is aimed at beginning chefs or anyone who wants to keep recipes simple. If you sign up, you start by choosing a plan. If you go with the Classic Plan, you can pick from any of 6 different menu preferences, and the company will send you meals they think you will enjoy. You have the option of changing the selections if you would prefer something else. The company offers cool promotions like 50% off your first box. You are in full control. You can pause your subscription, change it, or cancel it at any time necessary. Three plans are available: Classic, Veggie,, and Family. You can choose your family size: 2 or 4 people. Ingredients are packed with simple recipe cards which inform you about nutritional content, instructions and even how easy or hard preparation will be. You can access your account anytime on your mobile device. Breakfast meal options are available. The company uses local suppliers and sticks with seasonal ingredients. The recipes are designed to be easy to make, even if you are a newbie in the kitchen. Hello Fresh is very affordable. Right now, plans are as low as $4.99 per serving, and shipping is free. Delivery is available both in the USA and internationally. There is a slight learning curve with the website and account navigation, though it is easy to use once you learn your way around. Technically not all ingredients are organic, though they are natural. Verdict: If easy and affordable are your priorities, Hello Fresh is a great choice. The flexibility and control are also fantastic, so you should feel quite comfortable signing up. If you are on the fence about food delivery, you can cancel at anytime—but once you start experiencing the delicious convenience of Hello Fresh, you’ll probably want to hang onto your subscription for a long time to come. Freshly is different from Hello Fresh in that it is not a service which delivers ingredients to your door for you to prepare; instead, it sends fully-prepared meals to your home. Everything is fresh; nothing is ever frozen. All meals can be heated up and ready to serve in three minutes or less, which means that you can enjoy healthy food throughout the week, no matter how pressed you are for time. Best For: Fulltime workers who do not have time to prepare healthy meals from scratch, but do not want to compromise on nutrition and flavor. All meals are protein-rich, gluten-free, all-natural, and contain no refined sugars. The company has also banned the use of 85 different artificial ingredients in its foods altogether. There are plenty of menu options, so if you have a special diet to work around, you should find meals to suit your needs. You can also contact the team for further assistance. While meals are never frozen, they are delivered in ice-packed, insulated boxes. They can be stored in your fridge. You do not need to do any cooking whatsoever. All meals are already fully prepared when they arrive. Just heat them up and serve. If you want to skip delivery for a week or cancel your plan, you can do so at any point. The website provides nutrition information and full ingredients lists for all meals. Vegetarian options are available (sadly there are not as many choices for vegans). Ingredients are organic as often as the company can manage it, but sometimes compromises are made in this regard since there are other factors which also are important to consider when selecting high quality foods. Freshly supports local sellers where possible. Freshly is a company that believes in giving something back. Extra meals are donated to farms and shelters. Meals from Freshly are more expensive than they are from some other services. As of the time of this writing, the cheapest plan per serving is the 12 meals per week plan, which is $8.99 per meal. The 4 meals per week plan is the least expensive overall, but the most expensive per serving—$12.50 per meal. The company only delivers Tuesday through Saturday, and in some locations, fewer days are available. Freshly is not yet available in all states, though services are expanding fast. Verdict: Freshly costs a little more than some other services, but this makes sense considering that the company is doing the extra work of preparing the meals for you in advance. For those who have busy schedules and full lives, Freshly is another great home based option to stay healthy and enjoy delicious cuisine. Like Hello Fresh, Blue Apron is an organic food delivery service which specializes in meal kits. All meat is free of added hormones, and all produce is seasonal and fresh from the farm. With your meals, you receive recipe cards, and there are even how-to videos which you can watch online if you need extra help with preparation. Best For: Slightly more experienced chefs (though still ultimately okay for beginners) who want to go totally GMO-free. Pro tip: If you are changing your diet up drastically with some of their fancier options, we recommend not jumping in 100% to start. If you do, please use some probiotics to help ease the transition (you can get a free trial of Peptiva probiotics here). Plans for vegetarians are available. Recipe cards and how-to videos are excellent for beginners or for anyone who needs a little extra guidance. Blue Apron follows sustainable practices and uses no GMO ingredients. This is outstanding, considering that a lot of other organic food delivery services are not fully organic. Indeed, the company is actually working on projects to partner with farmers to boost the supply of non-GMO animal feed, which in turn should result in more non-GMO meat options for everyone. The company also partners with 150 farms to create menus around crop rotations, practicing regenerative agriculture. Blue Apron has a special program for wine delivery, and can even send you wines which are paired with specific recipes you are making. Reviewers mention that Blue Apron has excellent customer service and is the best home based option. Plans could be more flexible; you can only get 2-4 recipes per week, and there is no single-person plan. Starting at $8.99 per serving, Blue Apron costs more than Hello Fresh. Unlike Freshly, the company does not pre-prepare your meals. Blue Apron meal kits reportedly involve more chopping and preparation than meal kits from some other companies. Many dishes involve sauces which also need to be prepared from scratch. Some buyers have said the cooking times listed for various recipes are sometimes incorrect. Verdict: If your priority is to save money on meal kits, Hello Fresh is a more sensible option. But Blue Apron is probably more expensive because of everything the company is doing to stay GMO-free and to promote sustainable agricultural practices. So if that is important to you, you may very well want to give Blue Apron a try. Purple Carrot is a company which specializes in vegan food delivery. 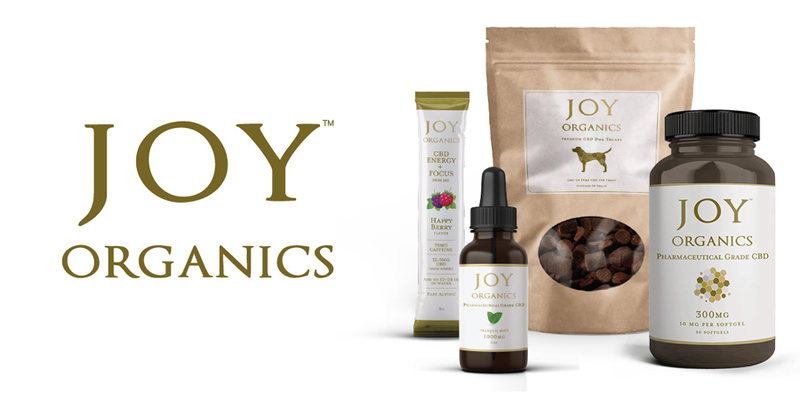 Ingredients are organic and non-GMO, packed in recyclable and biodegradable materials. Every recipe comes with a card with nutritional information, background, and detailed instructions. Best For: Vegan chefs or those who are trying to switch to a vegan diet and need help discovering new recipes. Meal plans are available for 1-4 people. Along with the standard Purple Carrot meal plans, there is also a plan for TB12 Performance Meals—which are based on the meals that Tom Brady eats. All ingredients delivered to are pre-portioned so that nothing is wasted. You can skip weeks if you need to, and you can also customize the delivery schedule for your meals. Meals are designed so that you can prepare them in 45 minutes or less. The company sends out all needed ingredients aside from salt, pepper and olive oil. You can also find a list on the website of all the kitchen tools you are expected to have on hand. You can currently get 20% off your first order with Purple Carrot. Meals are not only vegetarian and healthy, but they are also colourful and visually appealing, making for a lovely presentation. These meals are not only vegetarian-friendly, but vegan-friendly as well, as they are 100% plant-based. You can only get 2-3 meals per week. They are also more expensive than competing meal delivery services, starting at $9.25 per plate, and ranging as high as $13 per plate. Purple Carrot still does not ship everywhere, but they are expanding delivery. Currently, you can get their meals delivered to the West Coast, Mid-Atlantic and Northeast regions. Verdict: While some other organic food delivery companies offer vegetarian and vegan meals, Purple Carrot is a company which actually specializes in them. Even though you may pay slightly more, it is worth it for the extra variety and the focus on your dietary needs. When you have a busy schedule and you are already juggling other priorities, going grocery shopping and planning and preparing your meals each week can be stressful and time-consuming. It can also make it hard to stick with healthy choices. Obviously eating health is good for everyone but for those of us with medical requirements (like lowering blood pressure naturally or dropping some weight) the nutrition is crucial. With organic food delivery, you can try new recipes, stick with a diet, and explore a whole world of healthy, wholesome cuisine without all the hard work. Just sign up for one of these services and wait for fresh, delicious meals to be delivered straight to your doorstep!